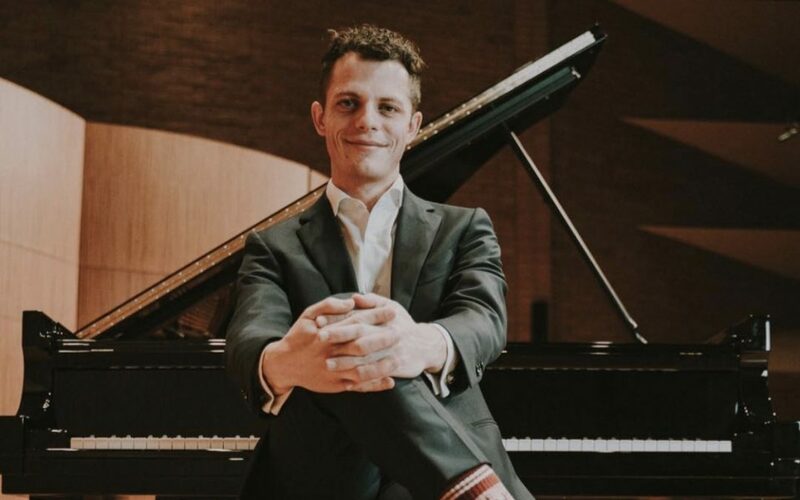 BYU-Idaho student Austin Roylance will take his place at the grand piano in the Barrus Concert Hall in the Eliza R. Snow building this Friday from 7:30 to 8:15 p.m.
Austin Roylance has performed in many recitals since becoming a student at BYU-Idaho. The recital is free admission and open to the public. There will be cream puffs as a refreshment. Roylance has recorded a number of pieces on his personal YouTube channel, including “Ricordanza” by Franz Liszt and “Minuet” by Christian Petzold. On Friday he will perform works by Brahms, Mozart and Liszt.